Why Isn’t Your CPA Firm in the Hospitality Business? Seth Godin wrote a book a few years ago entitled Tribes. In it, he described the powerful momentum that occurs when a leader truly connects with a group of followers with passion and insight. He spoke of “movements” that occur when a compelling vision/story is shared that connects with the hearts and minds of followers and a vision for what actions need to be taken becomes commonly embraced. You can start a client retention (service) movement within your firm–if YOU believe in it. Examine the depth of commitment of your staff to client service. Find some champions among the fold. Celebrate them! Pull them together and develop a plan for how to infect the rest of the firm–it will so pay off for you in the long run. Godin says that “almost everything that is standard now is viewed as mediocre.” It’s time for your firm to step up from mediocrity to a new standard of hospitality. We’re not making an appeal for inauthenticity here, but for heartfelt care for the client. 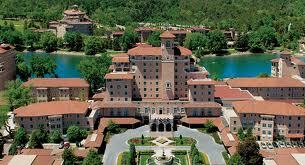 Wow them like the Broadmoor!